Fall was in the air yesterday at the drop-in center. We welcomed 167 guests, of whom 12 were first-time visitors. We had a whopping 63 volunteers, including students from West Coast University in Anaheim. They came to us via a classmate who had volunteered and spread the word. The West Coast students were happy to help us as a way to fulfill their community service requirements and indicated that they looked forward to returning. 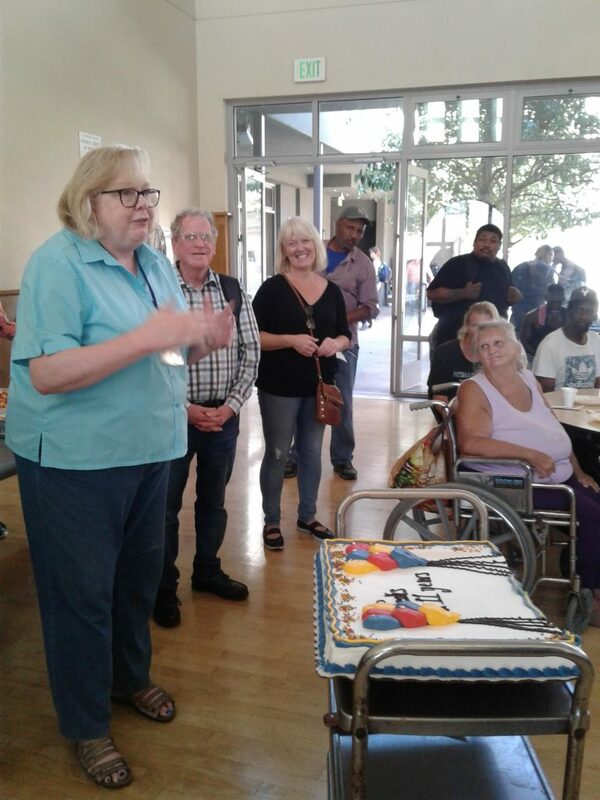 We appreciate all of our volunteers, as they are key to our drop-in center’s success. 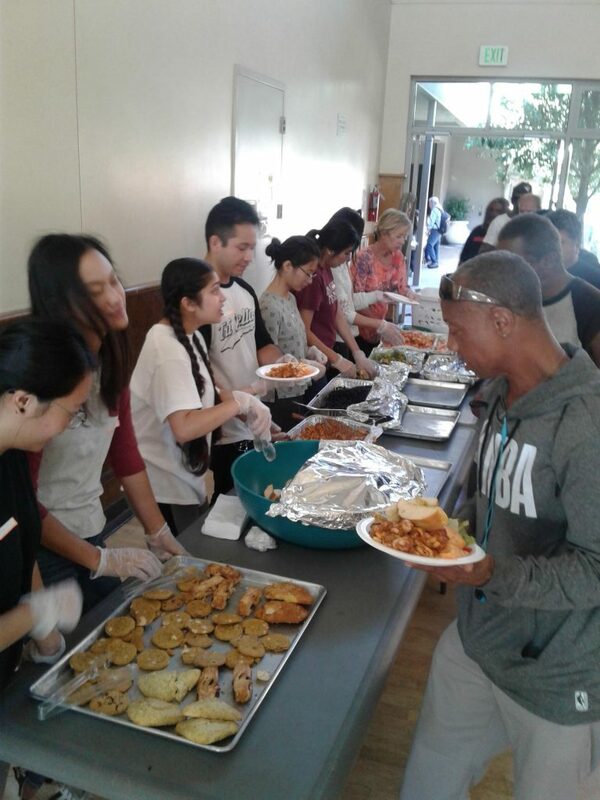 We rely on our volunteers to help serve meals to our guests, as well as perform critical behind-the-scenes tasks such as all aspects of food preparation, cleaning dishes, mopping spills, taking out the trash, etc. UCO’s long-time volunteer nurse – Anne Herzog celebrated 11 years of service yesterday. 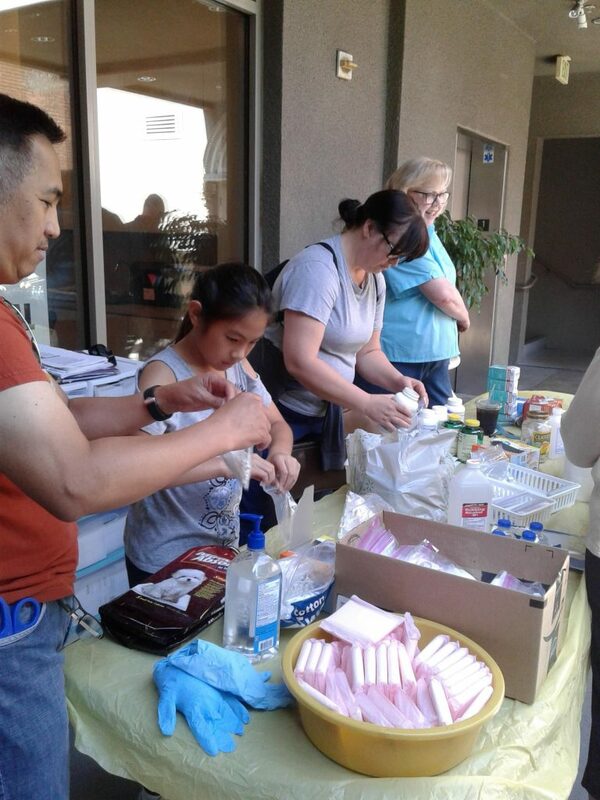 Every first Sunday of the month, Anne and her team of volunteer nurses bring in carts full of medical supplies, such as antibiotic ointments, other wound-care supplies, vitamins and other supplements, and a host of other supplies. Our guests are always so appreciative for the care and advice that Nurse Anne and her team dispenses, including blood pressure checks. 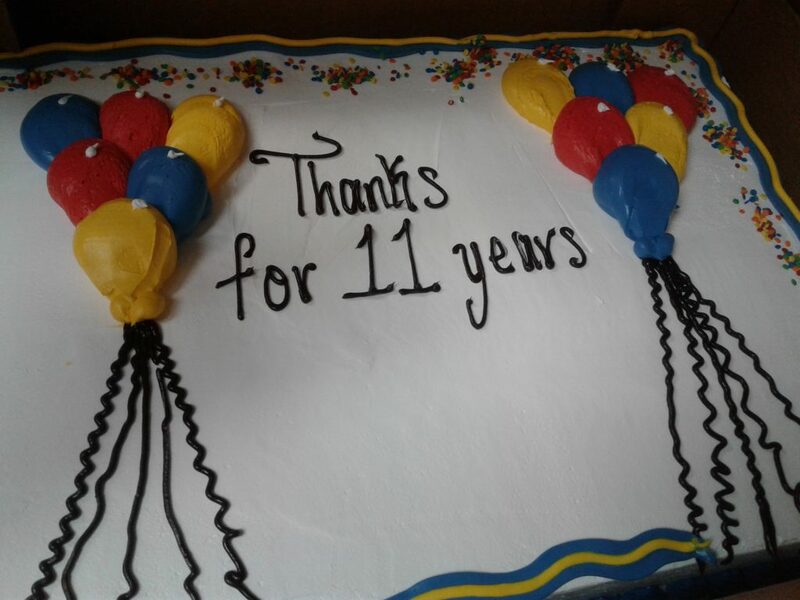 Guests gave a round of heartfelt applause for nurse Anne and her team, as we commemorated her anniversary with cake for all to share. Nurse Anne talked about her dream of having a medical van to house her supplies and use as a base to care for our guests on a regular basis. I helped several clients with their transportation needs to and from their upcoming medical appointments. I also spoke to various clients who have pending housing applications and made arrangements for staff to follow-up during the week with appointments and submittal of documents to complete their applications. Staff will also be providing two of our clients who just moved into their apartments with bedding and other household items from our storage unit. Several clients took away groceries, medical supplies, and ID forms. Our housing specialist continues to be very busy talking and meeting with landlords and apartment managers to secure permanent housing for our clients who are ready to move in. Thank you for your support and allowing us to help meet the needs of our clients.